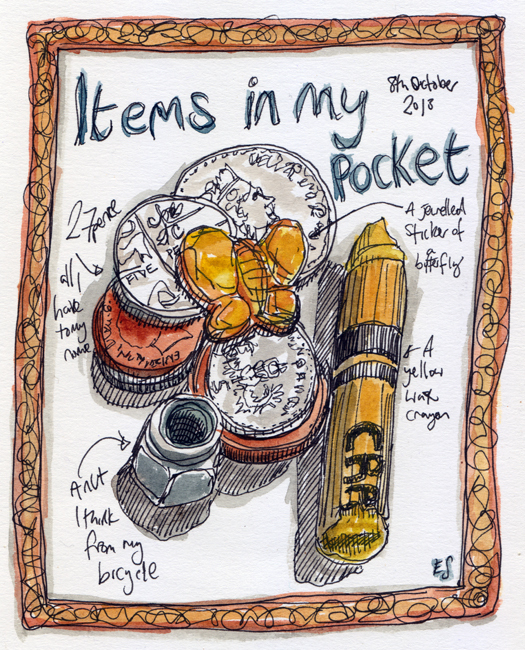 A wee sketch of the things in my pocket today. Namely twenty seven pence in change, a nut I’ve been carrying about for ages as I need one for my bicycle, like this only a little bit smaller. Half a wax crayon I picked up from under the table yesterday and a jewel sticker butterfly thing that I’ve been meaning to give back to my daughter.